Square is announcing a new debit card, called the Square Card , which will allow businesses to withdraw and spend the money they’re bringing in through Square payments. 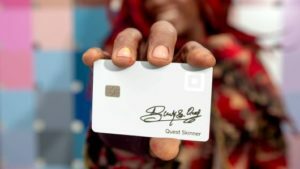 In a conference call with reporters, the company laid out a number of benefits that the card should offer to Square sellers. The big one: It could help with cash flow, eliminating any delay between making a sale and having that money available to spend. To be clear, businesses aren’t creating a new bank account. Instead, the card — a free debit card from Mastercard — allows them to tap into the funds that are already in their Square account, without having to transfer the money to a separate bank account first.